Be. : Gentlemen, start your engines! 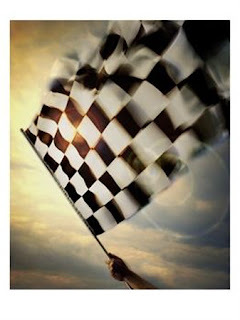 Finally, the Daytona 500 is here! Although the "off season" is only a couple short months, it seems like forever. I always love the first race of the year. The excitement, the interviews, seeing what the drivers were up to during the winter, just the whole thing. Friday night was the truck race, and although Kyle aka Rowdy, didnt win, he came in a close second. It was a crazy race with a couple wrecks that took out several cars. Kyle's truck was terrible all night but somehow, he managed to hang on to it and bring home 2nd. Yet another example of his raw talent and ability to drive..in anything. 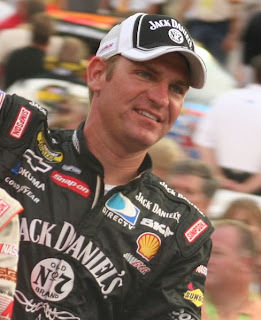 Today he was in the Nationwide race and started 5th, his best ever qualifying performance for a restrictor plate race. I didnt get to watch much of it, but when I left, he was in the lead. I listened to it on the radio in the car, and did not go into the mall until I heard who won. I was bummed that Stewart won but Kyle got 2nd, again. 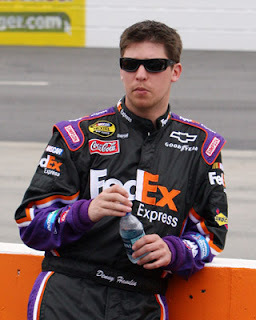 As far as Im concerned, he has the place figured out, and I have a good feeling for the 500!